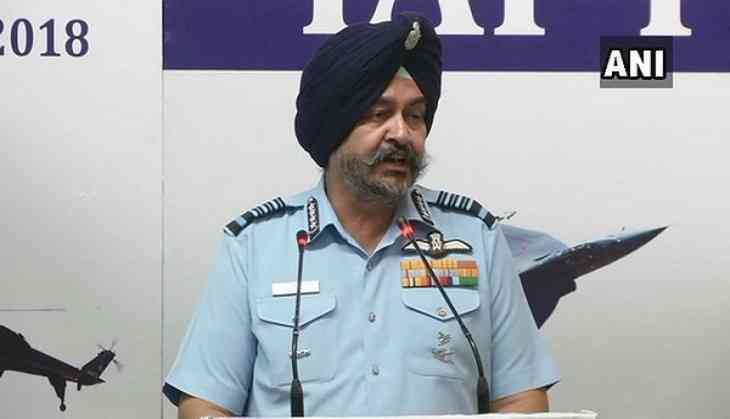 Indian Air Force (IAF) Air Chief Marshal Birendra Singh Dhanoa on Wednesday defended the central government's decision to purchase Rafale fighter aircraft from France and the Russian S-400 missile defence system. Speaking at a special address on the theme, IAF Force Structure: 2035, organised by the Centre for Air Power Studies, the Air Force chief said, "By providing the Rafale and S-400, the government is strengthening the Indian Air Force to counter the short falls of our depleting numbers." Pointing out that there have been several occasions in the past when emergency purchases were made, the Air Chief Marshal said, "It is pertinent to note that all these procurement were of two squadrons of fighter aircraft and under the umbrella of an Inter Governmental Agreement (IGA). We have purchased 36 Rafale jets which makes two Air Force squadrons." Citing three instances from the past when previous governments went for the direct purchase, he said, "In January 1983 Pakistan had inducted the first lot of F-16 aircraft. In response to this serious threat, the government had approached the Soviet Union which at that (point of) time did not have the fourth generation fighter. So, they gave us two squadrons of MIG 23MF which was the best available interceptor aircraft with the Soviet Union." "Subsequently when the fourth generation aircraft became available, we bought two squadrons of Mirage 2000 from France in 1985. In the coming years as they (Pakistan) showed more interest in F-16, we bought again two squadrons of MiG29 fourth generation fighters from the Soviet Union," he added. The Air Force chief asserted that the IGA facilitates a faster procurement of equipment whenever a critical operational necessity arises, and it is the quickest means of achieving an operational capability. Last week, Vice Chief of the Air Staff Air Marshal Shirish Baban Deo had asserted that Rafale is a capable aircraft and the force needs such combat capabilities. Initially in 2012, during the United Progressive Alliance (UPA) tenure, India planned to buy 18 off-the-shelf jets from France, with 108 others to be assembled in the country by the state-run aerospace and defence company HAL. The BJP-led government scrapped the UPA's plan in 2015 and announced that it would buy 36 "ready-to-fly" Rafale jets instead of seeking a technology transfer from France's Dassault Aviation and making the aircraft in India.